Happy Monday! 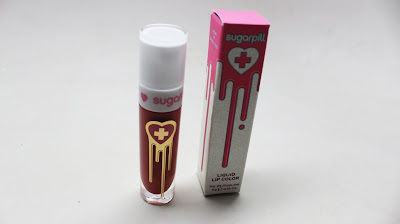 I've got another post showing you the latest and greatest from Sugarpill. 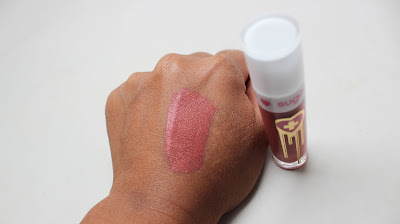 I already showed you the latest liquid lip color from Sugarpill's KimChi collection and today i'm showing you their permanent line color Trinket. Check it out! Trinket is Sugarpill's very first liquid lipstick. It's described as a creamy matte mauve infused with luminous golden sparkles. When you apply the lip color you'll notice two things...the formula smells like yummy creamsicles and that the toe foot applicator has a sharp angle which actually makes it super easy to apply. The texture itself is very moussy and rich. You only need to dip it once to get enough product to cover your lips. I didn't find that the gold shimmer was super prominent but if you tap the product on instead of swiping it pops a bit more. And here is the lip swatch! As you can see it's actually super wearable. You can pretty much pair this with any eye combo.